I will post the audio when I get a chance. He was ready for it, and claimed that all the research about plasticization of the oceans was wrong and he cited some research for which he did not provide links or search terms. He also talked about how he goes and does beach clean up (he’s such a good person!) and only rarely finds any plastic on the beaches. I made this lobbyist’s appearance on the Peter Schiff show more damaging to his cause than if he had not come on at all. If it wasn’t for him, no one would have had any reason to talk about the plasticization of the oceans. He inadvertently and unintentionally gave a reason and an opportunity to talk about the plasticization of the oceans. Notice how I appealed to something Peter would understand, “you like seafood.” He might not care about the abstract idea of the ecology, but he certainly likes fresh marine fish like bluefin tuna, cod, marlin and such. 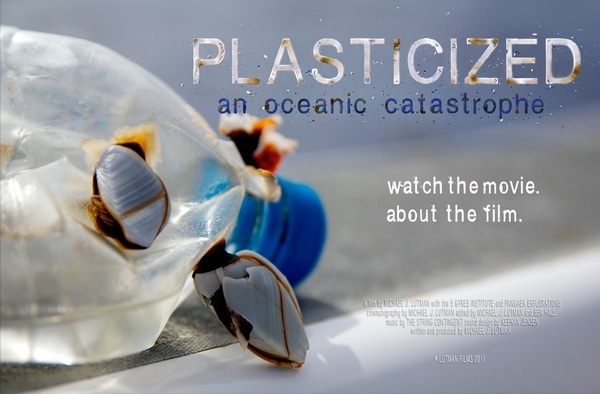 Here’s a CNN article about the plasticization of the oceans. Organized by two non-profit groups — the Algalita Marine Research Foundation and the 5 Gyres Institute — the expedition is sailing from the Marshall Islands to Japan through a “synthetic soup” of plastic in the North Pacific Ocean on a 72-feet yacht called the Sea Dragon, provided by Pangaea Exploration. The area is part of one of the ocean’s five tropical gyres — regions where bodies of water converge, with currents delivering high concentrations of plastic debris. The Sea Dragon is visiting the previously unexplored western half of the North Pacific gyre — situated below the 35th parallel, and home to a massive expanse of plastic particles known as the “Great Pacific Garbage Patch” — to look for plastic pollution and study its effect on marine life. Our nets come up with a handful of plastic fragments at a time, in every trawl we’ve done for the last thousand miles. Also on board is Valerie Lecoeur, founder of a company that makes eco-friendly baby and children’s products, including biodegradable beach toys made from corn, and Michael Brown from Packaging 2.0, a packaging consultancy. Eriksen says they have been discussing the concept of “extended producer responsibility”. “As the manufacturer of any good in the world today, you really can’t make your product without a plan for its entire use, because you could eventually have 7 billion customers buy your product,” he said. Global warming may not be real. But in our lifetimes, many species will go extinct, the ocean will be emptied of fish, garbage as you mentioned, etc. There are many catastrophies occuring. You can use the overpopulation angle to hit where all those people are – Africa, Asia. The Patch was growing rapidly while massive public and private bureaucracies allegedly dedicated to preserving “the environment” grew at a similar pace. The world environmental/green movement is almost entirely a fraud. 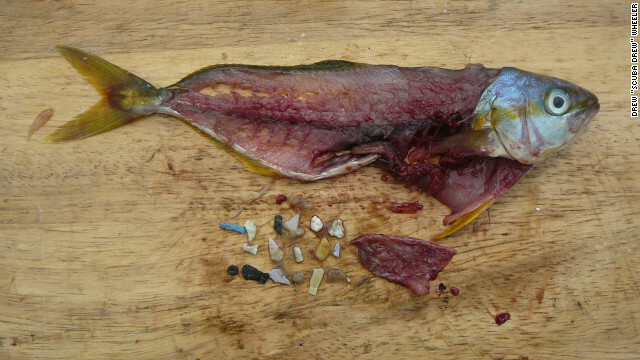 It probably is a huge fraud, but the Pacific Garbage Gyre is still a big problem. It’s performance art plus (the important part) rent-seeking. Yep — watermelons. Green on the outside, red on the inside. This problem is overwhelmingly caused by allowing non-whites access to white technology. They can’t handle it. Food, medicine, they breed into the billions. Then plasic. They dump it irresponsibly. Exactly! And the infinite growth system too. We need a steady state economy. The Asian will fish until all fish are gone. They have no regard for endangered species laws, and as the enforcement is practically non existent, they will get away with their crimes. In point of fact, many south east asians, esp. Vietnamese, are given free long liner or shrimper fishing vessels–some of which cost hundreds of thousands of dollars!!! Support white U.S. seafoods, the more organic (no fish-farmed Salmon for example) the better. Thank you for your comment, Lori! hope to see you here more often! I love trains by the way. The real tragedy- non-Whites include swej. And they got it via the printing press- knucklehead whites accepted the paper money monopoly. . .and that is the REAL tragedy. . .
It’s a double whammy too as the organo pesticides and herbicides collect in the plastic rubbish on the land and in the oceans. Like dissolves like and what not. Well done. You sound more normal than I would have thought. You should do more of these broadcasts. Well done. Bravo. I give Schiff credit for giving your airtime. Does anyone but me remember when they tried to do away with paper bags (in favor of plastic) to save the environment (Save the trees!)? I think that was in the 80s or 90s. Now it’s the opposite. Do any of the “Environmentalists” have any kind of a clue what they’re doing?